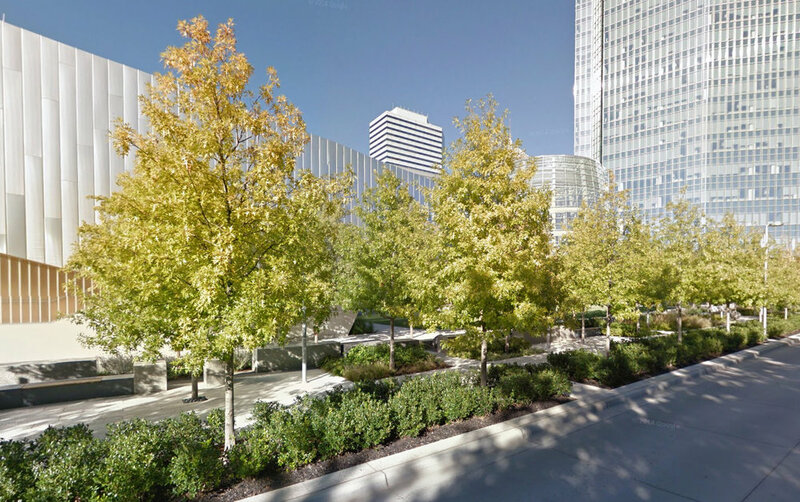 Devon Energy Headquarters is a large development in the heart of Oklahoma City. The 925 foot tall office tower, public atrium, theatre, and commercial space serve as a catalyst for future development of the downtown core. The landscape components of this project are extensive and include large public open spaces, water features, gardens and streetscapes.